"We are a no gimmick, no hype firm," Simon Gojcaj, CEO, Solutions Direct, says. "We understand the pressures companies are under to remain competitive, and our goal is to help them to succeed in whatever their industry and budget may be." 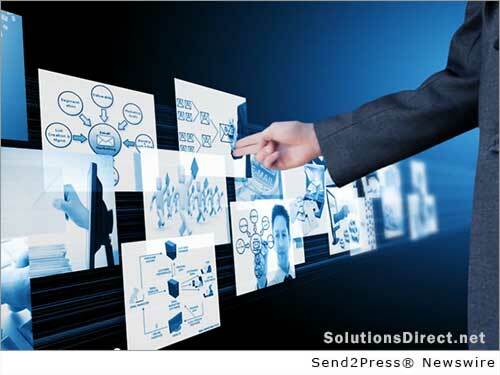 Solutions Direct’s database has the ability to promote any level of business. It can help with the simplest of projects such as increasing traffic to a new website to handling more advanced advertising campaigns for global corporations. The Solutions Direct team is comprised of seasoned professionals with a wide array of expertise ranging from strategy planning and targeted marketing to business processes, financial forecasting and more. Advertising campaign packages are low cost and cost effective. They start for as little as $19.95 per month. This level one package is the best way for businesses to test the market and response rates. This campaign includes sending out 50,000 emails daily. The highest level is six. On a monthly basis, businesses that choose this advertising campaign level will have the ability to send more than 2 million emails along with 34 million classified ads to ensure fresh new leads. This plan is $129.95 per month. “In order to provide the best customer service possible, we continually update our database and gather fresh new leads,” Gojcaj says. Solutions Direct does not require any contracts. Subscribers may cancel whenever they feel that the advertising campaign is not benefiting their bottom line. Or, they can choose to move between levels as well. The choice is theirs. Additionally, Solutions Direct has created a business template video. Businesses can work with the Solutions Direct team to customize their own business video within shorter turnaround times than normal. Members can also inquire about other low-cost advertising services and special discounts. No hype; no gimmicks – just solutions. To view a short video: http://youtu.be/W9GgHk8Fp_I. To visit the website: http://www.SolutionsDirect.net/. – Photo 300dpi: Send2Press.com/wire/images/14-0828-solutions-300dpi.jpg . – Photo Caption: SolutionsDirect.net – out of this world advertising. Original Keywords: Simon Gojcaj, SolutionsDirect, email marketing, permission, advertising company Solutions Direct San Francisco California SAN FRANCISCO, Calif.
REFERENCES: Advertising and Marketing News, Simon Gojcaj, SolutionsDirect, email marketing, permission, advertising company Solutions Direct San Francisco California SAN FRANCISCO, Calif.